A twin-stick shooter, The Walking Vegetables: Radical Edition sees players battling mutated zombie fruit and veg. Armed initially with a simple pistol, players can upgrade their arsenal with a myriad of weapons and gadgets they uncover as they take on the lethal legumes. Journeying between cities players experience double the fire-power by buddying-up with a friend. To save mankind, players will need to defeat end of level vegetable kingpins before progressing to the vegetable-ridden alien headquarters and the formidable mothership. The game’s content is OVERFLOWING! A single playthrough merely scratches the surface on what The Walking Vegetables has to offer. Randomized buildings, sections, enemies, bosses, weapons and items will make every game a completely unique experience. Combine this with the abundance of achievable skills and unlockable goodies and you are guaranteed to stay engaged and entertained for a loooong time! 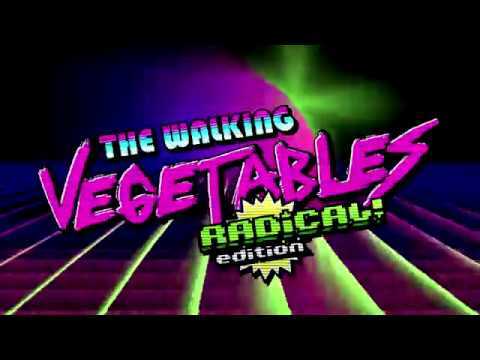 The Walking Vegetables: Radical Edition was released on 53d ago in the UK and the US. Notify me when The Walking Vegetables: Radical Edition is available.